This was taken in Gwalia in the Goldfields of Western Australia. 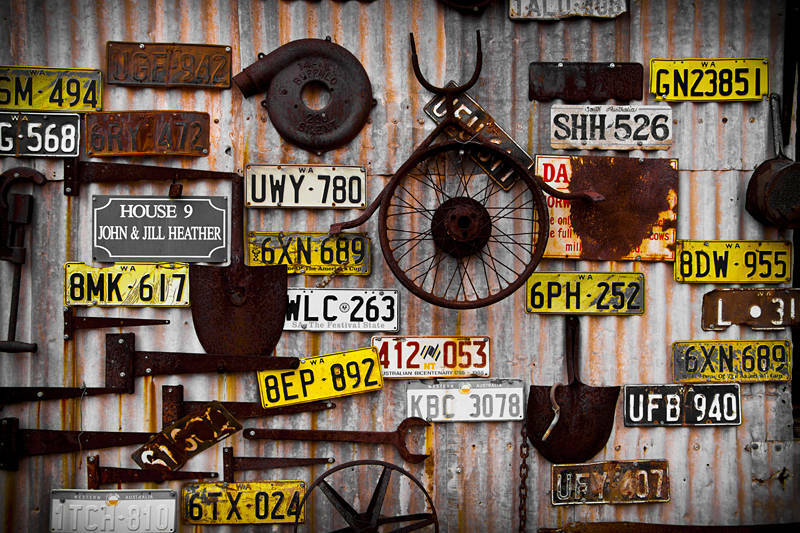 It demonstrates Australians fondness for decorating remote houses and mail boxes with random pieces of iron. In the UK metal that is not nailed down seems to find its way to the scrap merchant. In Australia Victorian engineering seems to last forever in the dry environment. The result is a visual time warp reminiscent of Cuba. I used desaturation on the greens and blues and made the yellows and oranges stand out. Congratulations to Karen who has had her first nine images accepted at Shutterstock, followed by her first sale. If you would like to sell your images read the Guide to Stock Photography.